Transition Drinks, Transition Chat, Thursday 29th of April, from 19:00 for a few hours. At the Cricketers Pub, crossroads of Milton Rd and London Rd, Westcliff-on-Sea. A chance to meet for an informal chat about Southend-on-Sea in Transition and green organizations and projects in Southend. Past Drinks. Our Steering Group is open to people interested in working with the community to find local solutions to the issues of climate change and peak oil. Sounds like a bit much at first:)? No worries, we will help you get clued up and skilled up in a supportive environment. We are no experts but local people on a journey. Volunteer a few minutes here and there. Here are a few other bits we could use help with. The core group members are already busy on the Southend-on-Sea in Transition project. We can only do as much in our spare time so if you want more projects happening come and support us and you might feel the positive feeling associated with working with and for the community. EcoHomes Tour. Edible Garden Tour. Scrumping Have you seen fruit or nuts lying around in yours, maybe the neighbours garden or in some public space? Well-Being Fair. Southend – Grow your Own 2009 Map. Some of the pictures are already on the map. Conflict Resolution Skills Cafe I wanted to learn the 12 Skills of Conflict Resolution and discuss with friendly and interested others. Please get in contact if maybe you want to meetup to discuss and learn together in an informal and safe setting over a tea or coffee. Booklet launched – Reskilling the Valley a competition!! 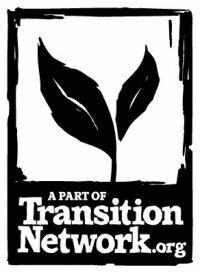 227 278 291 Transition Initiatives around the world and growing. Organic Growing Month by Month by local expert. Why not become a recycling champion. Food Coop in St Marks Centre, Westcliff. Southend Credit Union – Helping the local economy and you. Keep your money safe and sound. Are you a member yet? Transition your life with the help of Southend Libraries and their energy monitors. Visit Southend Highstreet Farmers Market and Leigh Farmers Market. Bicycle safety tagging. Southend-on-Sea Freecycle – don’t throw it away, declutter, offer the things you don’t need anymore, ask for things you need. Come and see SEEWEN community allotment and dig in with them. Grass Roots Reading Group – call the Southend Library for the next date. Volunteers for Metal – Kitchen Garden and visit Chalkwel Hall to see tour the low carbon building. Energy Usage Monitor available on loan from the Southend Library. St. Lukes Healthy Living Centre – variety of services offered: healthy walks, community allotments etc. Support a Woodland Resource Centre in South East Essex. New Southend YMCA concept shop starting up – bring your clutter and yourself. New Thinking of setting up your own environmentally-friendly business? Try Eco-hub facility in Southend-on-Sea. The content of the newsletter can be be generated by you, the community members interested in SosT and compiled by the Steering Group. Any news about activities, updates and forthcoming events should be submitted by 5th of each month to kamilpac@googlemail.com for inclusion in the next newsletter.